Essential Oils are the truly amazing natural essences extracted from plants and used for a variety of applications, from perfumery to first aid. They may come from any part of the plant, such as the rind of an orange, the flower of a rose, or the bark of a Cinnamon Tree. Essential Oils connect us in a very direct way with the vitality, power and beauty of nature. The aromatherapeutic benefits of essential oils are well documented and are known to ease tension, alleviate depression, focus thought, and stimulate energy. Many essential oils also have toning, cleansing, moisturizing, and balancing effects on the scalp. But the main reason we use them is because they smell AMAZING! Synthetic fragrances, widely used in the cosmetic industry, often contain hundreds of separate ingredients, primarily petroleum derivatives, which include phthalates (a group of chemicals linked to hormone disruption), neurotoxins, allergens and sensitizers. Because fragrance is considered a ‘trade secret,’ companies are not required to list these compounds on their labels. These chemicals not only accumulate in your blood stream, but also in the environment, polluting the water we drink and the food we eat. (To find out even more about synthetic fragrance, you can visit The Campaign for Safe Cosmetics website at: http://www.safecosmetics.org). Need we say more? Essential Oils = Good/ Synthetic Fragrance = Bad! Why Not Just Fragrance Free? The answer is simple – a lot of natural ingredients don’t smell so hot on their own, particularly in their pure, unadulterated form. The raw, ‘naked’ ingredient is, however, significantly more potent then its refined counterpart. Essential oil fragrances allow us to deliver the most effective product while pleasing all of your senses. Each essential oil fragrance is lovingly created and designed to complement any natural odor that the unadorned product may contain. Most essential oils fall into one of ten scent categories: Woody, Edible, Musky, Balsamic, Earthy, Floral, Spicy, Green, Fruity, and Citrus. Woody scents tend to have a grounding, unisex appeal and include Sandalwood and Cedar. Edible fragrances, such as Vanilla or Green Tea, span a wide range of ‘flavors’ depending on the plant from which they are extracted. 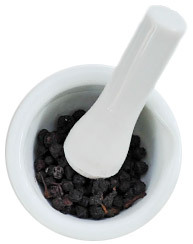 Benzoin, a tree secretion, is considered a Balsamic essence and has a strong vanilla note with a powdery finish. Earthy essences include Vetiver, Oakmoss, and Patchouli and have a rich, dark, musty character that lends sophistication and depth to a fragrance. Jasmine, Rose, Lavender, & Neroli are some of the most recognizable members of the bright, uplifting Floral family. Spicy scents are generally sharp and tangy - we like Black Pepper, Ginger and Cardamom best. Spearmint and Fir are two very Green essences, providing clarity and freshness to a sent. Fruity essences embody a banana-like sweetness at their core, and are derived from actual fruits, like Litsea cubeba, and flowers, like Ylang Ylang. Citrus, the most universally appealing of all fragrances, features prominently in many of our formulations and range from the sweet juiciness of Tangerine to the tangy snap of Lime. Please Note: Because they come from natural sources, essential oils can vary from batch to batch. Moreover, they continue to mature and develop from the moment they are extracted to the moment we add them to our products. We embrace this slight variability as a distinctive fingerprint that makes our products even more special and hope that you will too. If you just don’t care for heavily fragranced personal care products, you may be in luck. Ever notice how, when you shampoo your hair you smell like shampoo for the rest of the day? That’s due to artificial fixatives used to prolong the scent. Essential oils, on the other hand, tend to dissipate after a few hours, and leave your hair smelling fresh and clean, but not perfume-y. So, even if you aren’t crazy about one of our fragrances, you won’t have to smell it all day long. 1) So that you can identify any oils to which you may have sensitivities or allergic reactions. 2) So that you have some inkling of whether you will like the scent before you purchase the product. If you are unsure of whether you will like a particular scent, we encourage you to try a Moxie Mini prior to purchasing a full-size container. Love (or hate) one of our signature scents? Please tell us! We want to know what you like, so that we can make more of it!